Smallzy has a HUGE prize this week in Smallzy’s Surgery! Trust us when we say … YOU DO NOT WANT TO MISS THIS! LITTLE MIX performing LIVE at a TOP SECRET overseas location! YOU could be there seeing Woman Like Me and some of their biggest and best hits performed LIVE and intimate at a top secret international destination! For YOUR chance to win, simply enter below and tell us why YOU NEED to see Little Mix LIVE overseas! … BUT … Make sure YOU know your Little Mix tracks! 1. 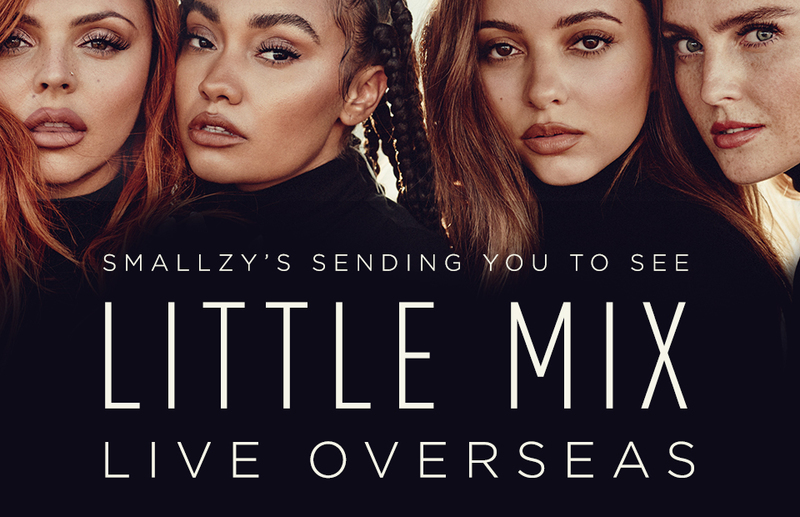 Promotion Smallzy’s sending YOU to see Little Mix LIVE at a secret overseas location! i. Are you 21 years of age or over? nominated timeframe (if applicable), they will be deemed ineligible. 2011?” If the answer is yes, the Selected Entrant will be deemed ineligible. provide their contact details for the purposes of awarding the Major Prize. discretion) will be deemed a Finalist and placed on the Finalist List. (iii) comply with immigration entry and exit requirements of the Travel Destination. participate in the Major Prize. absolute discretion) valued at up to $10,000 AUD (incl GST). share, to be shared by the Major Prize winner and their companion. to be advised by the Prize Provider. 14. Total Prize Value Up to $10,000 AUD (incl GST).